Home > VARIOUS AREAS > FOOD > 5 Exotic Japanese Fruits! Have you ever been grocery shopping in Japan and thought… What on earth is that? If you risk buying an unidentified object you may be in for a treat… or a nasty surprise … depending on which exotic fruit you go for. In this article, we’ll take a look at some interesting fruits you can get in Japan which you may not have seen in your home country. The king of fruit! The yuzu is one of my favourite discoveries in Japan and for a good reason. The citrus fruit is like a cross between a lemon and a grapefruit in the taste. Size wise, they are about 6.5 cm in diameter but can get to be as large as a grapefruit. 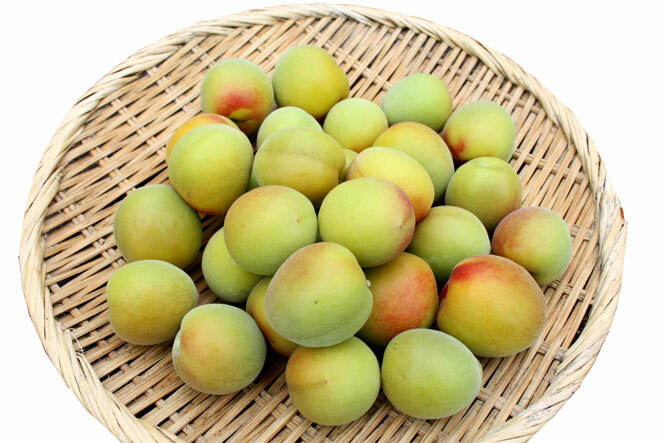 The shape is round, the skin texture is irregular, and the colour is a vibrant yellow once ripe. Richly aromatic, the yuzu is used in cooking as well as to make a delightful, sweet tea using yuzu jam (the yuzu is combined with honey to accent its sweetness.) The sharp, tangy taste goes well with fish, and yuzu ponzu sauce is a great for dipping dumplings or noodles in. Yuzu also goes particularly well with ginger. 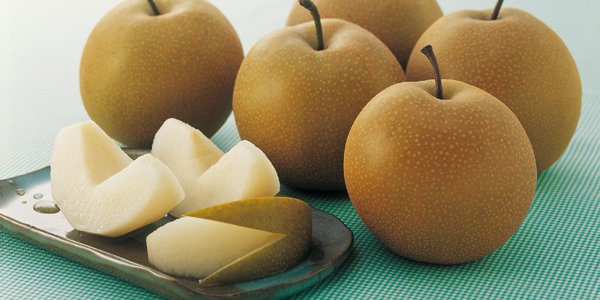 It would be more correct to call this an ‘Asian Pear’ as this type of pear is popular in countries all over Asia. They look more like apples than pears, but the taste is similar to that of it’s Western counter part. The texture is crispy, crunchy and grainy – quite juicy but certainly with a roughness to the skin. They are rich in vitamin C, vitamin K, potassium and fibre. In relation to biological morphology, the the persimmon is actually a berry, but everyone considers it to be a fruit. A bright orange colour, it’s quite something to see a persimmon tree heavily laden with these heavy globes of sweetness, as if they were dripping from the branches. The skin is chewy, grainy and slightly bitter, and in comparison the inside is very sticky, sweet and squishy, especially when they are over-ripe. Japanese persimmon are high in glucose and they bruise easily. Sometimes known as a Japanese apricot, this fruit is small, sweet, and used in a variety of ways. By far my favourite incarnation of the Ume is in umeshu (plum wine) – a fragrant, slightly tart alcoholic beverage. Pickled plums are popular in Japan, and can be found topping bento boxes or filling onigiri. In Japanese poetry, Ume blossoms are used as a symbol for Spring. The name translates as ‘giant mountain grapes’, they are much larger than normal grapes – they can grow to be the same size as a small plum. The colour is so purple it’s almost black, especially when the fruit has just been washed. The skin of the grapes can be easily removed and so it’s not usually eaten – the flesh inside is very sweet but, while edible, the seeds are highly bitter. Kyoho are usually harvested at the end of summer, and bunches without imperfection can fetch a high price. In general, fruit can be quite expensive in Japan, especially if you want something out of season. Cheaper deals can be found at local markets where people sell home grown produce, and you can often find bargains there. So if an unusual Japanese fruit takes your fancy, give it a try and see what you’ve been missing out on. “Wonut”, the most calorific snack in Japan!